The Grand National isn't far away. It's a tough course: 4 miles and 2 furlongs, 30 fences, 2 circuits, and a long finish to sap tired legs. Infamous fences such a Becher's Brook, The Chair, Canal Turn & Foinavon detailing stories of luck or sting in their tail. Mud-spattered faces of jockeys, toothless from past encounters of a life of winning and losing. For those who love to bet, check out the Grand National Betting 2018. This steeplechase is like nothing you have ever seen before. Jumps once the size of a double-decker bus, covered with spruce and landing side lower to deceive. Perhaps those fences were bigger in the old day on that black and white TV. 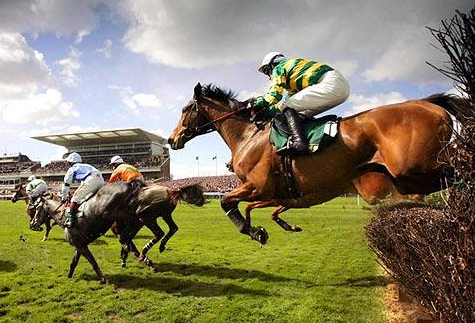 The Grand National has a winner's prize of £500,000. No wonder the great and the good are tempted by the prestige of taking the spoils. Red Rum made this race his own in the 1970s. Horses go via Cheltenham to Aintree. Two possible wins rather than one! Who will be winning this year? Many punters will be looking to bet on the favourite. As far as the betting goes it has the best chance. 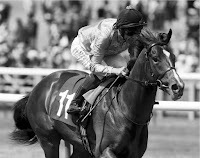 The shortest price favourite in the history of this Grand race was back in 1919 when Poethlyn won at 11/4f, trained by Harry Escott and ridden by Ernie Piggott who is the grandfather of the legendary Lester Piggott. In truth, betting on the Favourite in the Grand National hasn't been the best idea in recent years. The last favourite to strike was Don't Push It who started joint favourite back in 2010. He was ridden by A P McCoy, trained by Jonjo O'Neill in the ownership of J P McManus. Two years previous, Comply Or Die won for David Pipe at 7/1f. Before that in 2005, Hedge Hunter won for Willie Mullins. In fact, since 1998 when ten-year-old Earth Summit won for Nigel Twiston-Davies there have been just four jollys winning in the last 20 year. Hope that doesn't put you off. At the time of writing, the betting suggests we have a couple of likely lads who may be vying for favouritism. 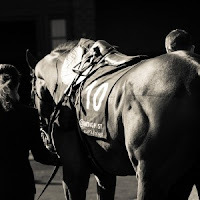 Blaklion is a nine-year-old bay gelding trained by Nigel Twiston-Davies. He won over the National course back in December. Also, fourth in last year's race behind One For Authur when starting 8/1f. Will this son of Kayf Tara start favourite? Can he defy the favourite voodoo? Total Recall has been very well backed. This bay gelding is trained by Willie Mullins and similarly priced at 10/1 with major bookmakers. Betting: Blaklion 10/1, Total Recall 11/1, Cause Of Causes 16/1, The Last Samuri 16/1, Definitely Red 20/1, Gold Present 20/1, Minella Rocco, Anibale Fly 25/1. 33/1 Bar. Here's the question. Should you back the favourite or not? It's been seven years since the last favourite prevailed so it could be time for another to hit the mark.